For several decades, Garfield Elementary served as a learning environment for students in the poorest district of Olympia, Washington. A major addition and remodel was needed to modernize the 50-year old school house as well as patch up worn out building materials. The building’s interior footprint was re-configured to create learning pods, natural daylight and technology centers while incorporating sustainable design. “Garfield serves the highest poverty ratio in the district. We wanted to use the best and newest materials as a commitment to the kids who need it the most,” said Principal Brenden Chertok. Ko Wibowo of McGranahan Architects led the project design, which he carefully developed through understanding the school culture. In the programming phase, Ko and his team spoke with the staff to learn more about the school culture and found it reaches beyond the school walls. The school motto, ‘You are family here’, is exemplified through the teachers and staff who are very involved with the neighborhoods and parents in the local community. As a result, the students see school as an extension of their home and not just a place to attend classes. “When we found out about the culture about how they work, we looked to enhance the community gardens by integrating it into the school as part of the redesign,” said Wibowo. Both the school kids and people around the community tend the garden today. Since the school district is into sustainable design, a water collector was installed on the roof to catch the rainwater for watering the garden. Before the remodel, the school had very little natural light filtering through its windows. Learning pods, which were placed within the hallways, were especially dark. The teachers wanted to have reading nooks with the bookshelves. 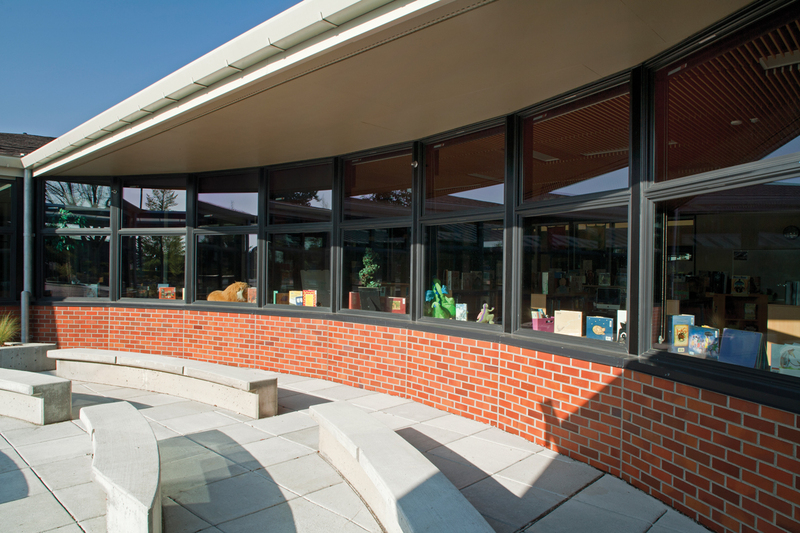 Wibowo’s team took this request to incorporate window seats into each classroom so the kids could look out to the views and enjoy reading by natural light. A dark exterior frame color was chosen to emphasize the outside views. “As a designer, we need to find out the uniqueness of each school: how teachers teach the students, how the school affects the surrounding neighborhood, and then serve those needs to allow the building to function fully. Otherwise, it won’t be used to the maximum,” said Wibowo.